The U.S. 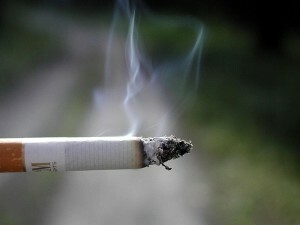 Surgeon General releases an annual report about the dangers of smoking each year. It has been a long time since the very first report on smoking in 1964. We’ve learned a lot about smoking since then, and unfortunately most of the news is bad. Smoking also increases your chances of developing colorectal or liver cancer. If you have prostate cancer and smoke, the cancer is more likely to be aggressive and kill you. Whether you’re a cancer patient, cancer survivor, or have no known health conditions, smoking puts you at greaterrisk of dying. Exposure to tobacco smoke while in the womb and smoking in the teenage years have both been shown to cause long-term problems regarding brain development. Although smoking has decreased over the 50 years—from 52% to 25% of adult men, and from 35% to 19% of adult women—the decline has slowed over the last two decades. However, among adults who never completed high school or who have a GED diploma, almost 1 in 2 are smokers. The report estimates that half a million Americans die from smoking every year, and this number has not changed in a decade. Smoking costs the U.S. economy about $100 billion per year, including direct medical costs and the indirect cost of lost productivity from employee sick time due to smoking-related illness. The Surgeon General cautions that current efforts to reduce smoking are not getting as much support as they need. While many states have received substantial funds from settlements with tobacco companies which were intended for tobacco control programs, this funding is frequently been spent elsewhere. In 2013, Alaska was the only state to fund their tobacco control programs at the level recommended by the Centers for Disease Control and Prevention (CDC). What More Should be Done to Reduce Smoking? In 2009, the FDA was given much more authority to regulate tobacco products, and in 2010, it made it illegal to sell tobacco products to anyone under 18, banned free samples of cigarettes, and prohibited cigarette brands from sponsoring music and other cultural events. While making public spaces smoke-free and increasing the price of cigarettes and other tobacco products has helped, we need to do more. Most experts agree that effective tobacco control programs require a combination approach: public health campaigns supplemented by laws that limit where you can smoke, make cigarettes harder to buy, and ensure that programs to help people quit smoking are covered by all health plans. Under the Affordable Care Act, Medicare, Medicaid and employer-sponsored insurance plans are required to cover medications to help with quitting. Unfortunately, it is still unclear exactly what will be covered through the state insurance exchanges, even though they are subsidized through the federal government. Of course, the ideal strategy is to prevent a person from starting to smoke, since tobacco is very addictive. The Surgeon General’s report says more advertising campaigns targeting young people with anti-smoking messages are needed, since 87% of adult smokers had their first cigarette by age 18. A study published in 2014 revealed that the nicotine dose from cigarettes increased 15% between 1999 and 2011, making them more addictive without any warning to consumers. That is only one example of a long history of misleading information from tobacco companies, which is why anti-tobacco ads are so important. For example, the Surgeon General’s report details how “low-tar” cigarettes, advertised by tobacco companies as safer, were later found to be just as harmful. In addition, other changes in cigarette design and content have also had unexpected health effects, such as increasing rates of one of the two most common types of smoking-related lung cancer, adenocarcinoma. Once a person starts to smoke, all doctors and health experts agree: quitting smoking is one of the best things you can do for your health and the health of your loved ones, no matter how long you’ve been smoking. Studies show that the health benefits of quitting kick in soon after you stop.Twenty minutes after your last cigarette your high blood pressure will drop; within 3 months your lung function will improve; one year later your risk of heart disease will fall to half of what it was when you were smoking; and five years after your last cigarette your risk of several cancers will drop by half as well. [3,4] For information on how to quit, see this article. If you are considering taking medication to help with quitting, check out this article. And if you are thinking of using e-cigarettes to cut back on regular cigarettes, you should know that there are many unanswered questions about the risks of e-cigarettes and almost no research to support their use in smoking cessation. For more on e-cigarettes, read here. Many e-cigarette brands are owned by tobacco companies which have been caught lying to the American public about the risks of their products repeatedly. Centers for Disease Control and Prevention. Current Cigarette Smoking Among Adults—United States, 2011. Morbidity and Mortality Weekly Report. 2012; 61(44):889–94. Land T et al. Recent Increases in Efficiency in Cigarette Nicotine Delivery: Implications for Tobacco Control. Nicotine and Tobacco Research. 2014. S. A. Kenfield, M. J. Stampfer, B. A. Rosner, G. A. Colditz. Smoking and Smoking Cessation in Relation to Mortality in Women. JAMA: The Journal of the American Medical Association, 2008; 299 (17): 2037-2047. Centers for Disease Control and Prevention. 2010 Surgeon General’s Report—How Tobacco Smoke Causes Disease: The Biology and Behavioral Basis for Smoking-Attributable Disease. 2010.